In his Gospel, Luke brings us into a story in chapter 19 about Jesus passing through the border town of Jericho on his way to Jerusalem. In town there was a chief tax collector named Zacchaeus, who had heard Jesus was coming through. A big crowd had formed, which was keeping Zacchaeus from being able to see Jesus as he passed through. His only solution was to get some height, which he did by climbing up to the top of a sycamore tree to see if he could spy Jesus. As Jesus passed through by the crowds he caught sight of the man in the tree. To the crowd this was startling. Zacchaeus was not a very popular man. He wasn’t liked. He wasn’t respected. He wasn’t a good man. But Jesus noticed Him. Jesus picked Him out of the crowd. Zaccheaus made right all of his wrongs. He was forgiven, and he entered into this beautiful, eternal relationship with Jesus. Isn’t that the story of Easter? Christ coming, seeing us where we are at, allowing us the opportunity to make restitution, to ask for forgiveness, and to be restored to Him? I don’t say this to minimize Jesus’ death and resurrection, the only avenue through which our true restoration to Him can happen. But I do believe Zacchaues’ story is a beautiful picture of the heart of the restoration we all experience through Christ as a result of His sacrifice. We all have the choice of being in the crowd, or the choice of rising above the crowd to catch a glimpse of Jesus. We don’t have to be ‘good’ to look for Him, but if we look for Him, He will recognize us in spite of our sinful imperfections and allow us the opportunity to be restored to Him. Isn’t that the story of Easter? The story of forgiveness. 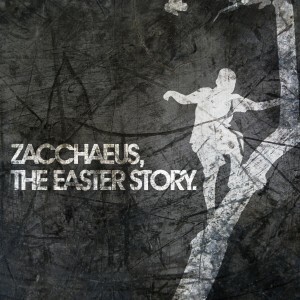 May we all see Zaccheaus in ourselves this Easter. May we rise above the crowd of naysayers to catch a glimpse of, and be reunited with, our King.